I had this for a while, but haven’t had chance to post it till now. 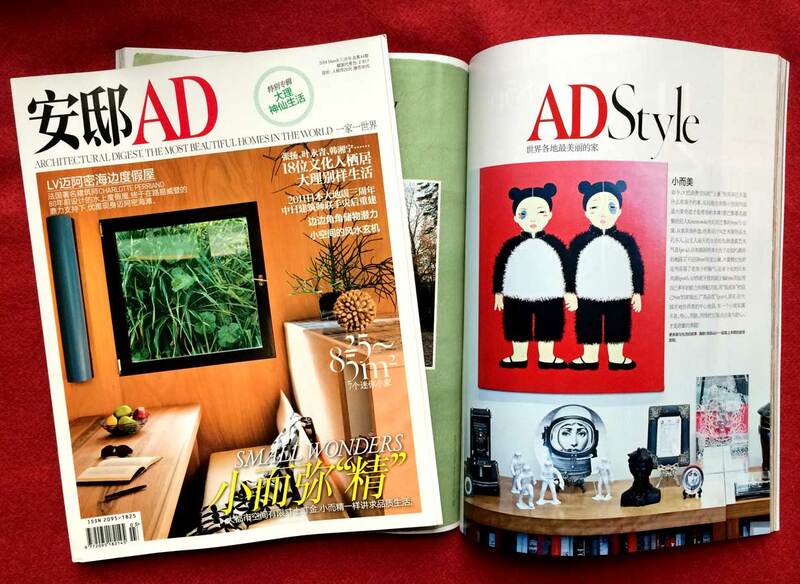 My apartment was featured in March 2014 issue of Architecture Digest China (安邸AD) in its Small Wonders feature. My apartment, roughly 700 sq. ft. (about 65m2), is a small space, which had charming original 1908 details but needed some work when I moved in five years ago. With the help of my friend and interior designer Andrew Kozak and awesome Ed Pollio of NY Design and Construction the apartment got the original charm back. And then, I spent the next two and half years decorating the whole place. 2) ottoman bed from BoConcept so I have a place to sleep on until I bought a new bed and then turn into a guest bed. Thank you awesome team of Marc Heldens and Mark Seelen and who came all the way from The Netherlands and Germany to make this feature work. Also, a huge thank you to my old friend and former co-worker Pink Yeung for sending the copies of the magazine from Hong Kong. By the way, I was told my name Yuko was written with a wrong Chinese character. 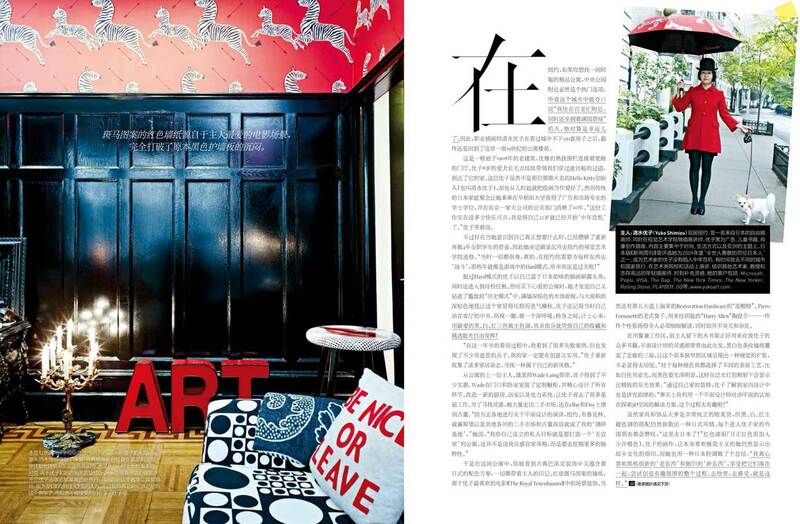 I don’t read Simplified Chinese, so I had no idea till a Taiwanese friend pointed it out to me. My name in Traditional Chinese is 裕子.